Harvard historian Niall Ferguson had suggested that Keynes didn’t think enough about what happens to future generations because he had no children and was gay. 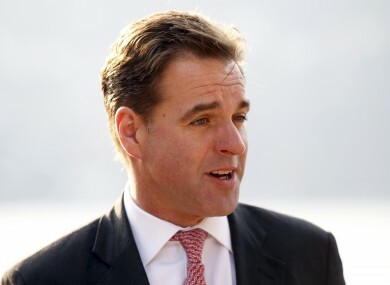 HARVARD HISTORIAN NIALL Ferguson has apologised for what he has described as “stupid and tactless remarks” he made about economist John Maynard Keynes. At a conference in California, the well-known academic suggested that Keynes didn’t think enough about what happens to future generations as a result of his economic policies because he had no children and was gay. Ferguson was speaking in front of a group of several hundred financial advisers and investors when he made the off-the-cuff remarks after being asked about Keynes’s famous observation that “in the long run, we are all dead”. One financial journalist who was present at the conference reported that Ferguson had said Keynes had taken a selfish worldview because he was an ‘effete’ member of society. In a statement on his website, Ferguson said that this was “doubly stupid”. “First it is obvious that people who do not have children also care about future generations. Second, I had forgotten that Keynes’s wife Lydia miscarried,” Ferguson said. The academic, who is known for his idea of the six ‘killer apps’ behind Western civilisation, was criticised for using Keynes’ personal life as a way to attack his policies. Keynes, who died in 1946, was one of the most influential economists of the 20th century and changed the way that countries dealt with recessions. My colleagues, students, and friends – straight and gay – have ever right to be disappointed in me, as I am in myself. To them, and to everyone who heard my remarks at the conference or has read them since, I deeply and unreservedly apologise. Email “Historian Niall Ferguson apologises for 'stupid' remarks about Keynes”. Feedback on “Historian Niall Ferguson apologises for 'stupid' remarks about Keynes”.